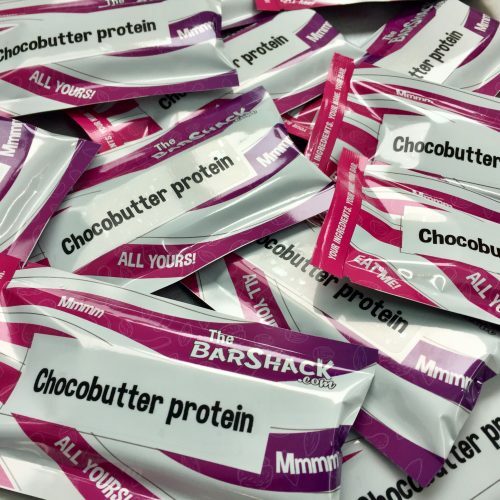 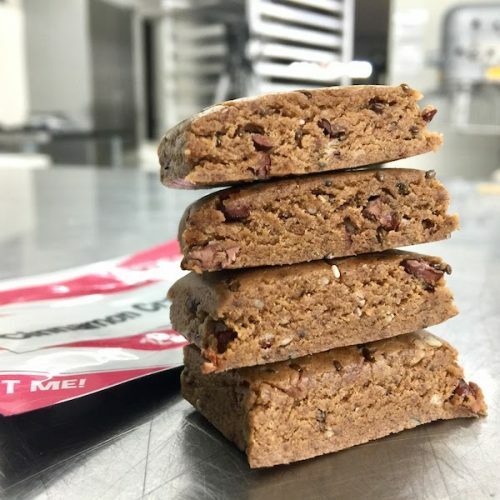 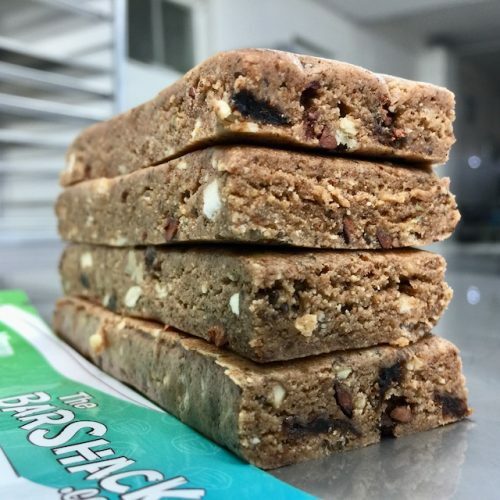 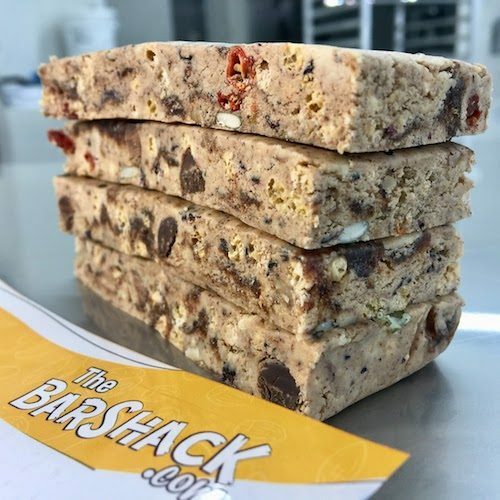 Today we made the ‘Brainz’ protein bar. 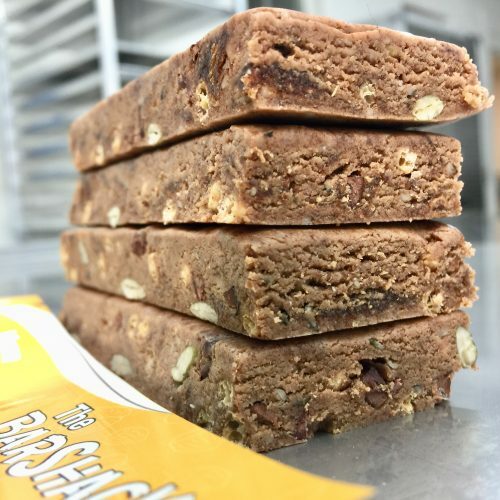 This customer chose the ‘soft & chewy’ base comprised of cashew butter, fiber syrup, dates, and our vegan protein blend of hemp/pea/rice protein. 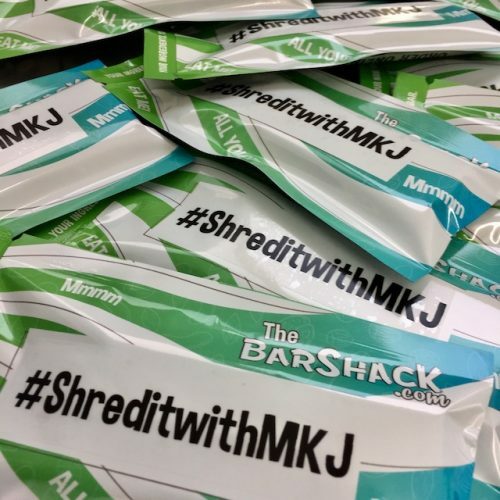 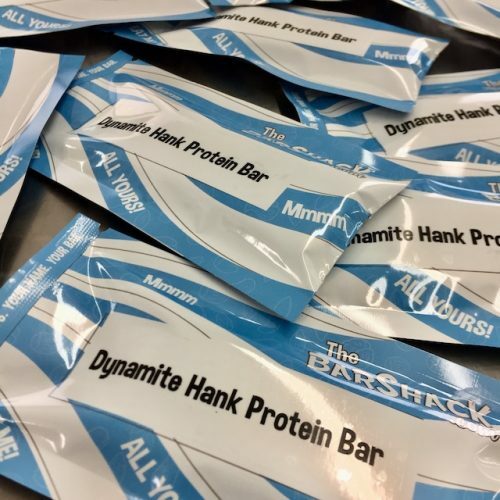 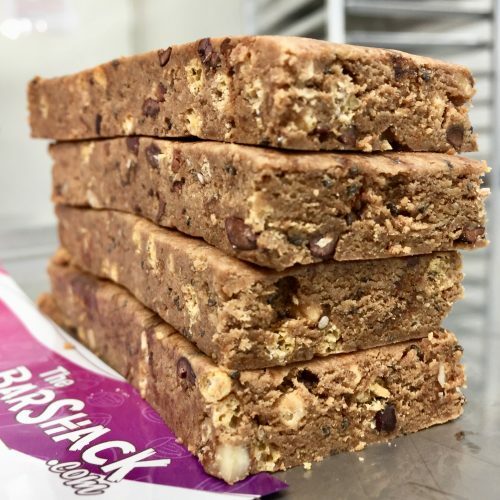 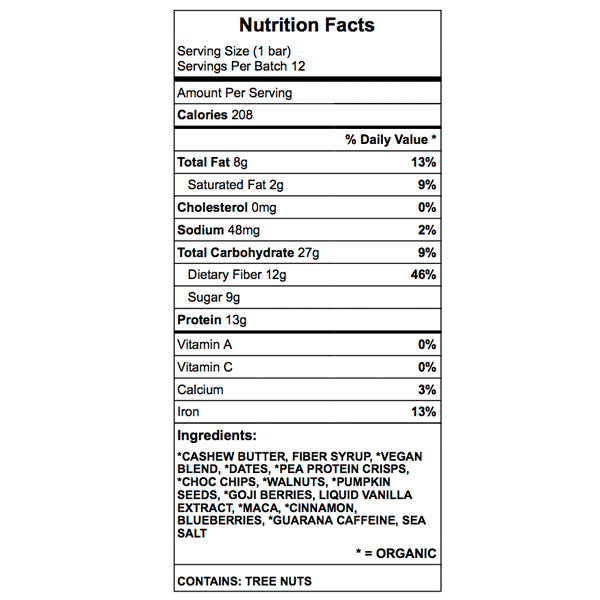 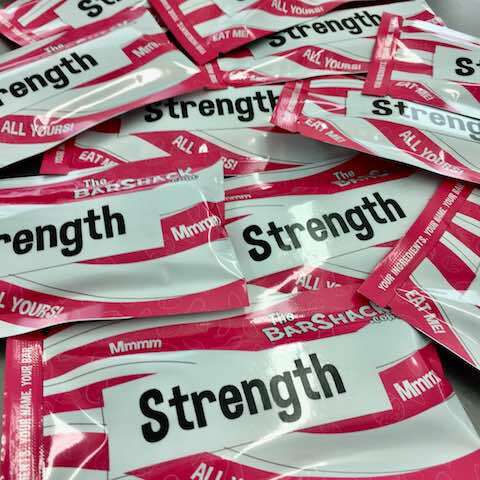 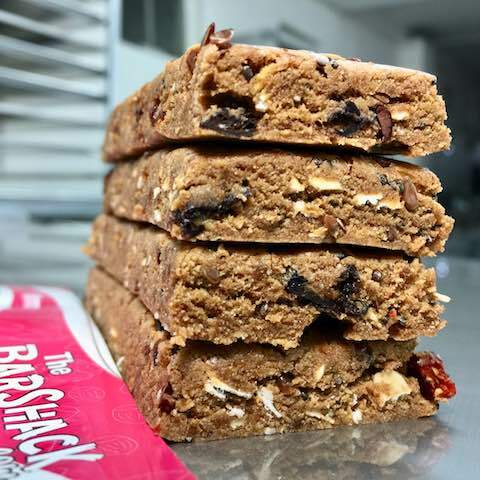 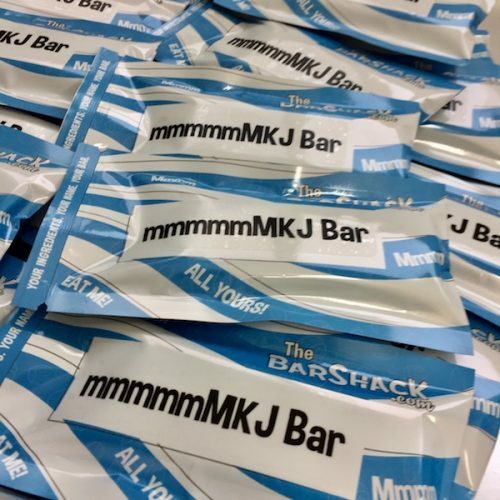 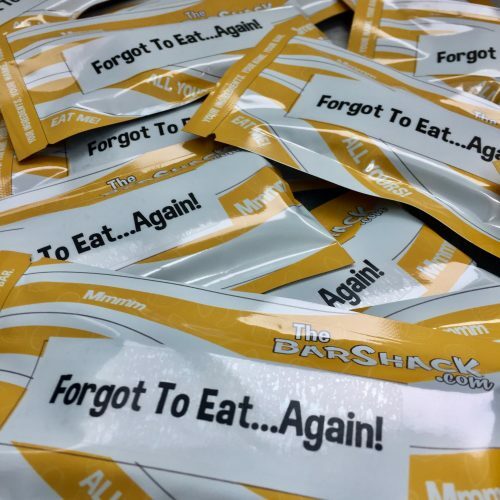 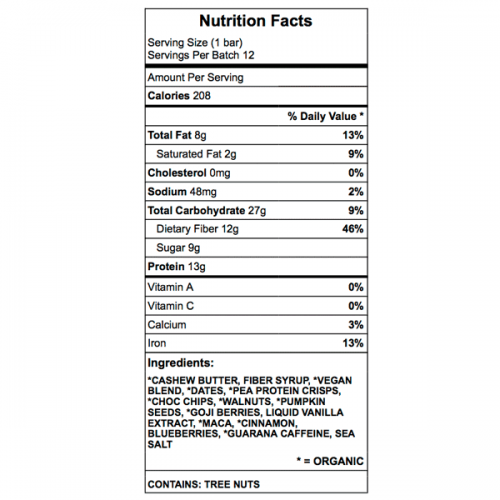 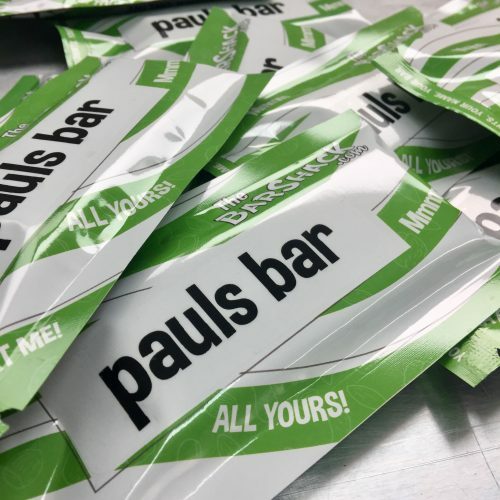 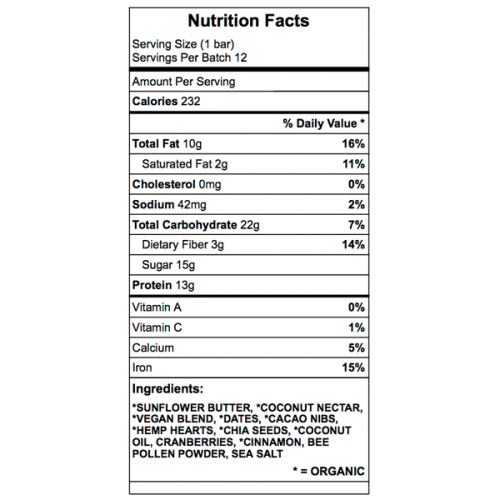 The bar is 208 calories with 8g fat, 27g carbs (2g sugar, 12g fiber), and 13g protein. 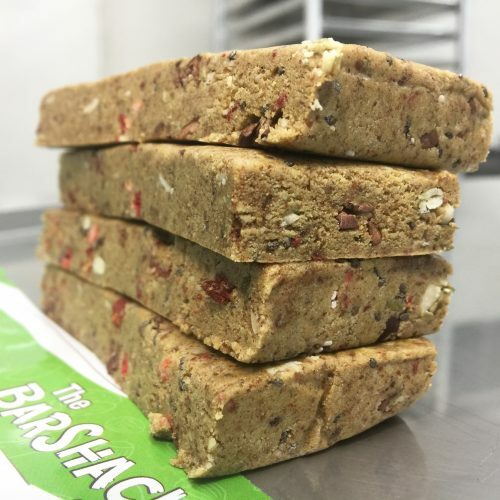 Pea protein crisps, walnuts, and pumpkinseeds were added to give the bar some crunch, while blueberries and goji berries add a fruity touch. 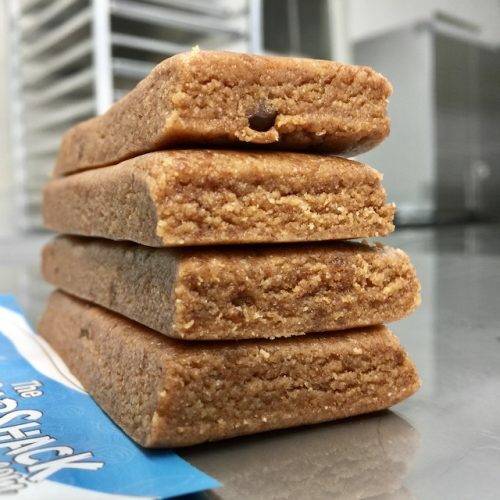 To kick up the flavor of this recipe, the customer added vanilla, dark chocolate chips, cinnamon, and sea salt. 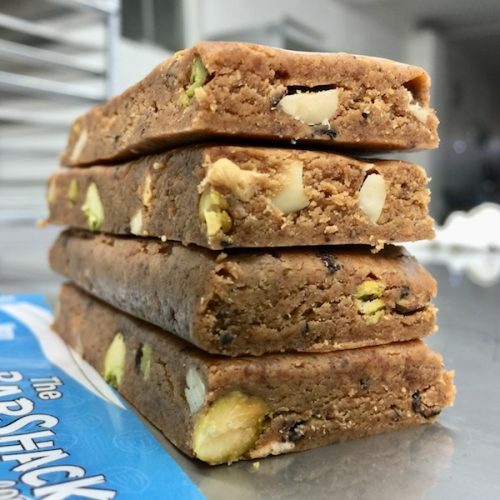 The maca and guarana were the final ingredients and although they don’t add flavor to the bar, they will give you a buzz similar to that of a cup of coffee.